Josh has an incredibly thorough, no-nonsense approach to fitness. Fun, simple and incredibly effective. To find out a little more about Josh, check out his superb articles (both on this site and on Top Form Fitness), as well as Gymchats 209 onward. Both as a guest and as the host. Jen Mulhall is a competitive Strength Athlete and Personal Trainer who is very much focussed on the mental aspects of training. If you'd like to learn more about topics such as Visualisation, check out her appearances on Gymchats 225, 232 and 247. Jon Hinds has a brilliant 'a little bit of everything' approach to training. It's fun, and it works. The Monkey Bar Gym online training packages certainly hold true to this. Not only is your plan laid out in detail, it's reviewed constantly to make sure you're moving toward your fitness goals. To gain muscle, lose fat and to feel fantastic. In short, this is the way training should be. Highly recommended. Dave Lemanczyk, MSPE is a former professional athlete who owns and operates a successful training business in Long Island, New York. 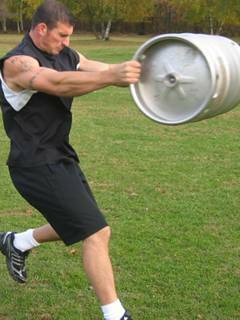 He developed both the Keg Conditioning & Basketball Strength training systems used worlwide. Dave specializes in the training of athletes. In addition he is a licensed Health Education and Physical Education Teacher who is CPR, AED, and First Aid Certified. If you're looking for private strength and conditioning services in Long Island, New York, look no further than Dave Lemanczyk's Private Training. Fantastic and honest. 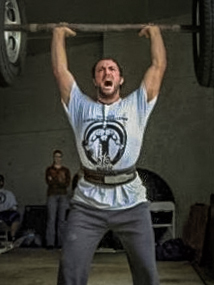 Derek 'D-Rock' Peruo is certified by the ACSM and is a recognized member of the NSCA. He designs strength and conditioning programs for athletes of all levels in New York City, and is a contributing writer to various fitness publications and websites. Derek has been overweight his entire life. In 2006, he successfully lost 90 lbs and now looks and feels a whole lot better. 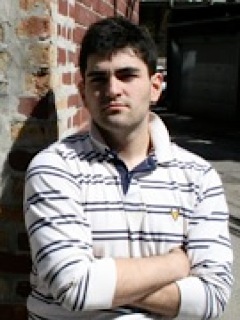 He is currently making plans to attend med school, specializing in orthopedics. If you're looking for online coaching, Derek's Online Coaching Program may be just what you're after. Superb. Jackie Burgmann is a Registered Personal Trainer, (living in Vancouver, BC Canada) and a self-professed fitness junkie. Workouts include : Endurance Running, Weight Training, HIIT (including wind sprints, hill sprints, & endurance running incorporating hills), and yes, even some long duration steady-state cardio like powerwalking. When circumstances (like mostly weather) won't allow for an outdoor cardio workout, the apartment stairwells get a good going-over. If you're looking for online coaching, Girlwithnoname's Power Tools Email Coaching service may be just what you're after. Superb. 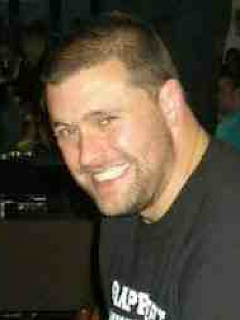 Barry Gibson is a Strength & Conditioning Coach and owner of Grapplefit Training. He's strength coach to Ross Pearson and Phil Defries from the UFC, Liam James from Cage Warriors, and many more local MMA fighters. Barry works with pro boxers, judo players and rugby teams too. He's a member of Team GB Sambo Wrestling, a 3rd dan in judo and a level 3 coach in both judo and sambo. If you're ready to take your combat seriously, Barry's your man. Fantastic. Conor Doherty, Star Factory Fitness. Conor Doherty is an Educator, Personal trainer, and hockey-obsessed fitness-enthusiast. See his approach to strength-training via his articles on this site, Gymchat 199 - Stretching & Warming Up & Gymchat 228 - In-Season Training for Hockey - and of course the Top Shelf Resistance Training ebook. To contact Conor and to work with him directly, head over to Star Factory Fitness.